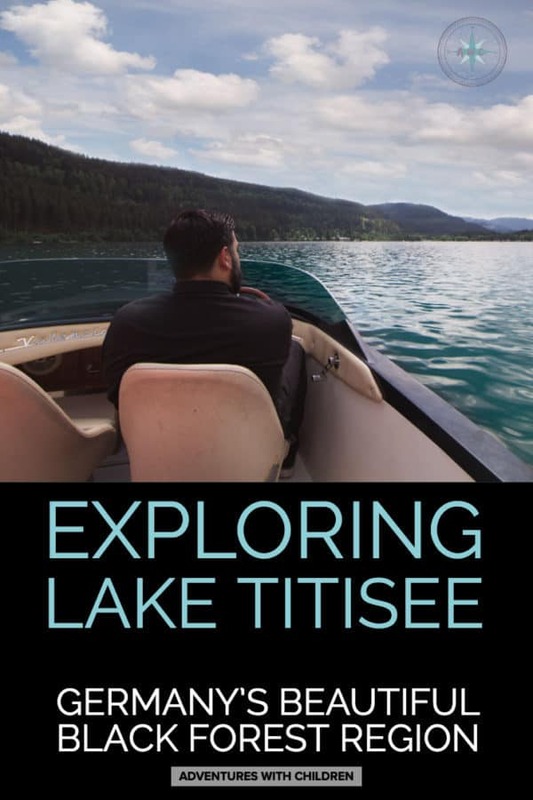 Exploring Lake Tittisee in Germany's Black Forest region. On our most recent 3 week trip in Europe, we explored parts of Germany, Denmark, Austria, Lichenstein, and Switzerland. On our very last day before heading back to the Munich airport, my husband had a surprise in store for me. A visit the beautiful Black Forest region of Germany! 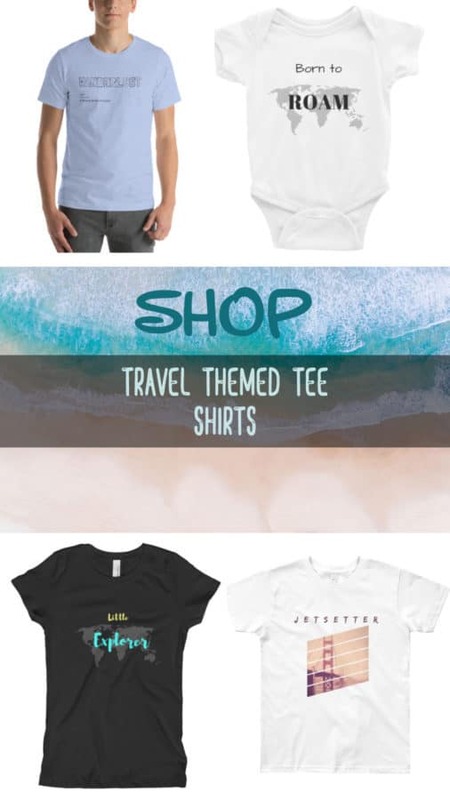 *This post contains Ads and/or Affiliate Link(s). 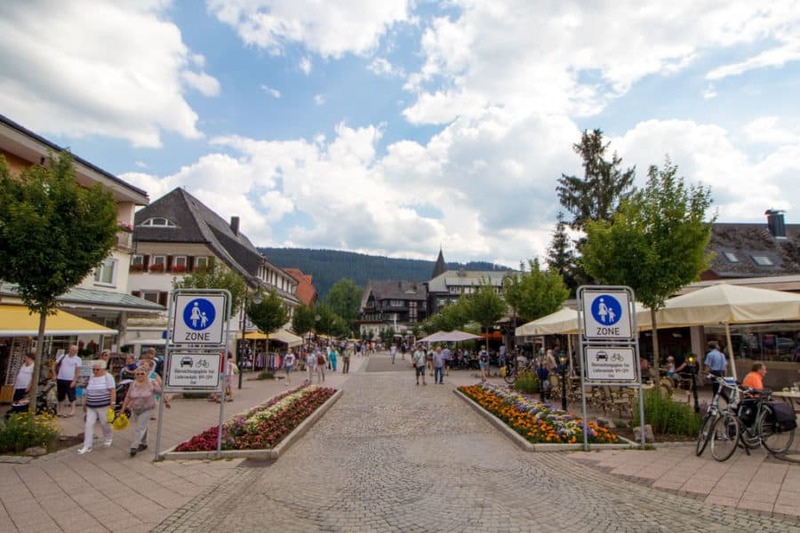 We spent the day in a tiny town on Lake Titisee. It was touristy but for very good reason! The lake was gorgeous and surprisingly not crowded. The best part was how easy and affordable it was to rent a boat. 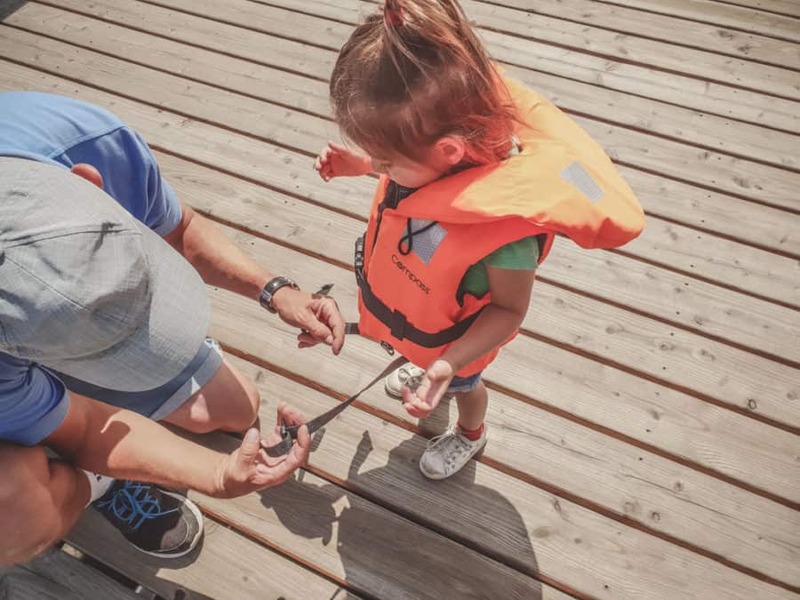 The company we rented through provided toddler-sized life jackets so no worries there. On our way to the harbor, we stopped to buy a fruit stand to purchase some snacks for our trip. It was a very special treat because berries weren’t in season back home in India. Ok, back to the boats. I saw some really cool, really funky boats. There was the one that my toddler deemed “car-boat.” It was shaped like a car and had a waterslide off of the side! Then there were the round family boats I have never seen anything like them. They were like giant floating Intertubes with a table in the center and an even an umbrella for shade! Perfect for a family picnic on the water. All of the boat options we looked at were electric. 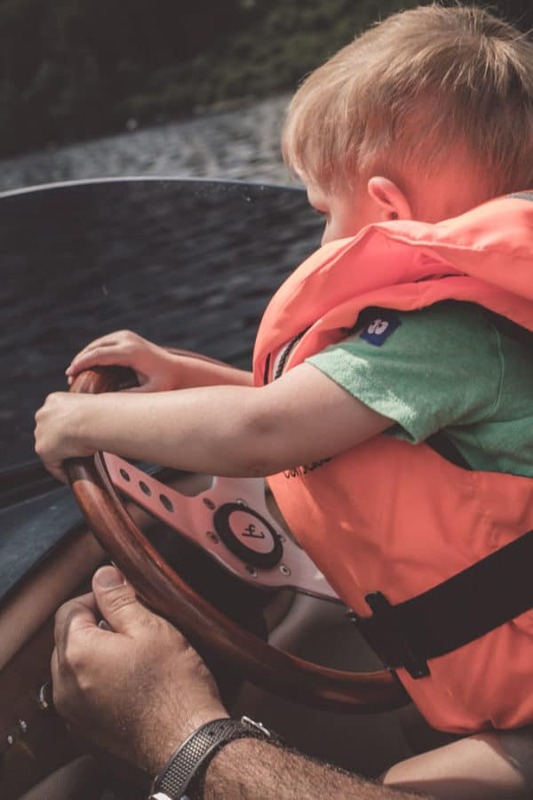 Electric boats go very slow, making it a great option for a leisurely adventure with small kids. If you are looking for horsepower, you’ll need to look a lot harder. We visited in June, which I am assuming is peak season and there were plenty of rentals available, no need to reserve ahead. After our boat ride, we passed the beach where kids were all playing along with the shoreline and walked around the picturesque street. Ice cream cafes are very popular there. We left the first sit down cafe in favor of a take-away place because there were too many smokers everywhere. (This is my biggest gripe whenever I travel to Europe.) Thankfully, there are plenty of benches around to sit on and enjoy the very delicious ice cream! I loved seeing all of the beautiful cuckoo clocks as well. If I had any room left in my suitcase I would have brought one home. This touristy street is pedestrian only. Before walking back to our car (The whole street is pedestrian only) we, of course, had to stop for a slice of Black Forest cake. It was hands down the best chocolate forest cake I’ve ever had, I’m salivating just thinking about it right now. 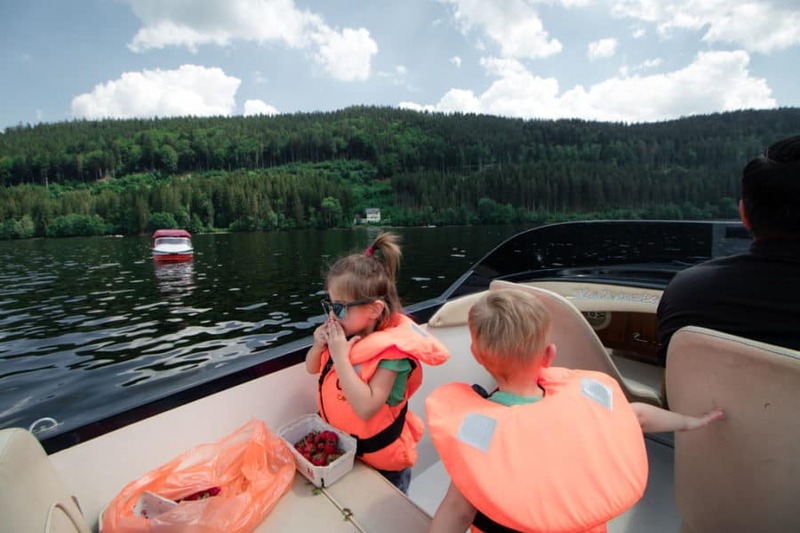 There is so much to see and explore in Germanys Black Forest region, but if you’re short on time like we were, a boating on Lake Titisee is a great way to dive right in. Watch a short video of our adventure by clicking play below! Previous articleBaby On Board? 15 must-have items for your carry on bag. Next articleVisiting the Castle that inspired Disney!